One of the most common submissions to the ZDI program we see involves bugs impacting PDF documents, and most of these bug reports involve Adobe Reader. We see so many, it takes something special to really catch our attention. 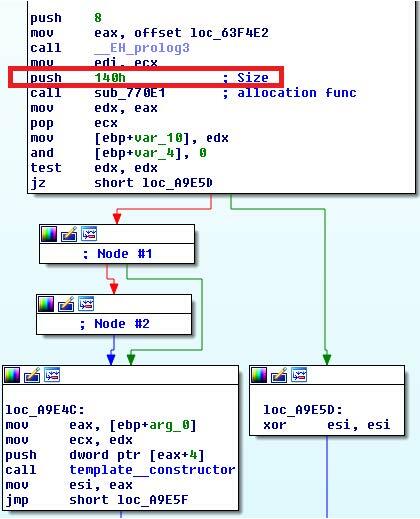 The July update for Reader included a patch for CVE-2018-12794/ZDI-18-682. Reported to the program by Sebastian Apelt, the quality of the write-up was too good for us not to share. - Xref to vtable start gives you constructor. Since we cause an OOB read of the Template Object, we can surmise the code expected a different, larger object instead of the Template object, which also indicate this is a type confusion bug. Most likely, the type confusion occurs between the xfa.template and xfa.form objects. 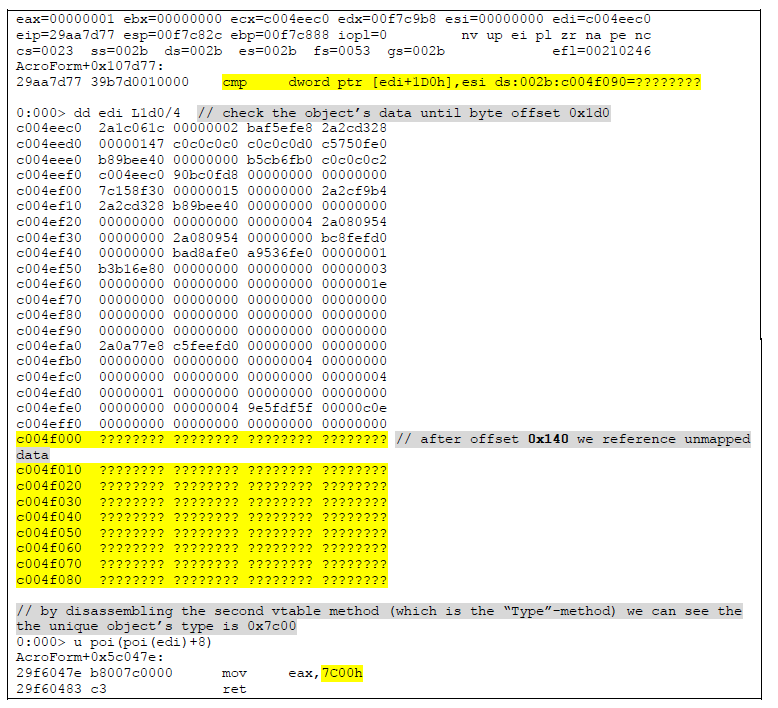 While xfa.template is of size 0x140 bytes, the xfa.form object has size 0x270 bytes. If you want to test this out for yourself, the PoC is here. It should work on Adobe Reader versions prior to 2018.011.20040. Looking at the advisories we’ve published this year, you’ll find a heap of PDF-related cases. Adobe Reader may be the most popular, but plenty of bugs exist in Foxit Reader as well. Throw in built-in PDF renderers in operating systems, and it’s understandable why so many researchers investigate this attack surface.